Monday July 8th was not a good day for a beautiful summer in Toronto. We had heavy flooding. 126 mm of rain came pouring down, breaking the record set in 1954 during Hurricane Hazel. 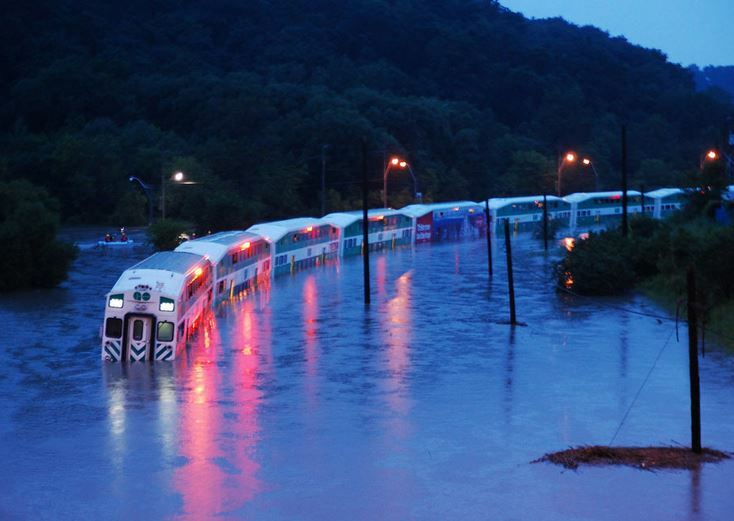 The subway system was disrupted, highways flooded and vehicles and residents stranded. As of Tuesday, July 9th, more than 50 000 people were still without power. I was lucky to get home without any major problems before it became really bad, and there was no power outage in my neighborhood. This Go Train was stuck in the rain. Thankfully there we no injuries or deaths reported. My lesson from the flood is always be ready, and never take tomorrow for granted. Despite our plans, mother nature remains unpredictable, there is always a chance of a nasty surprise waiting to happen.